Since I loved N. K. Jemisin’s Inheritance trilogy, I have been eagerly anticipating her Dreamblood duology. Fortunately, there is not a long wait in between books. 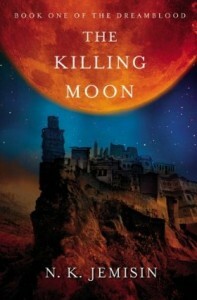 The Killing Moon will be released on May 1 and The Shadowed Sun will follow on June 12. Both books will be available in trade paperback and ebook formats. Chapter One and Chapter Two from The Killing Moon can be read online, and you can find information on both Dreamblood books here. 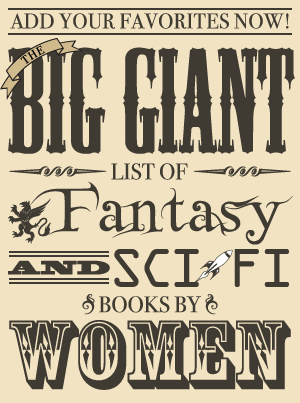 If you somehow missed it, N. K. Jemisin was a guest here this past week for Women in SF&F Month. She wrote an excellent post on an experience she had as an eleven-year-old girl involving a book that challenged her idea of “girliness” titled Don’t Fear the Unicorn. I highly recommend reading it as it’s a very thoughtful and well-written piece on an important subject. Rage of the Dragon follows Bones of the Dragon and Secret of the Dragon. It will be released in hardcover and ebook on April 24. There is an excerpt available on tor.com. 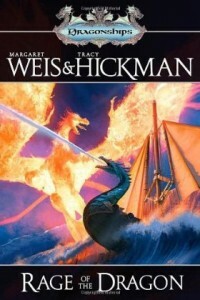 From New York Times bestselling authors Margaret Weis and Tracy Hickman comes Rage of the Dragon, the action-packed third book in their Dragonships fantasy series. 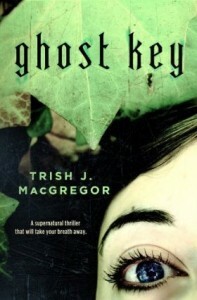 Ghost Key follows Esperanza, the first of The Hungry Ghosts. It will be released on August 21 in hardcover and ebook. It’s probably a bit early for an excerpt from this one, but there is an excerpt from Esperanza. Dominica and her tribe of hungry ghosts were driven from Esperanza, that magical city high in the Andes, but they were not all destroyed. As a last devastating blow against Tess Livingston, Dominica seized Tess’s niece Maddie as a host, and fled to the United States. The evil bruja has settled in a small resort town in Florida and is cementing her power over a new tribe of unquiet dead. But she will not be able to take over Cedar Key, not without arousing the suspicion of the US government. And not without attracting the attention of Wayra, her oldest lover and most bitter enemy. Passion, terror, blood, and courage abound in this supernatural thriller that will take your breath away. Shadow Blizzard is the final volume in the Chronicles of Siala, following Shadow Prowler and Shadow Chaser. It will be released in ebook, hardcover, and audiobook formats on April 24th. An excerpt is available online. This series is a translation of a popular Russian fantasy series, which has received the Silver Kuduzei and sold over one million books. 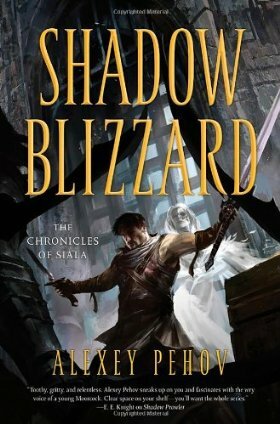 Shadow Blizzard is the third book by the international bestselling fantasy author Alexey Pehov. Like Shadow Prowler and Shadow Chaser, Shadow Blizzard is epic fantasy at its best; this is the third book in a trilogy that follows Shadow Harold, Siala’s master thief, on his quest for the magic Horn that will restore peace to his world. After the loss of friends and comrades, after betrayal and battle, after capture by fearsome orcs, Harold finally reaches the dreaded Hrad Spein. But before he can complete his quest by stealing the magic horn, he will have to brave the most fearsome obstacles yet—obstacles that have destroyed everyone before him…and Harold must do so alone.